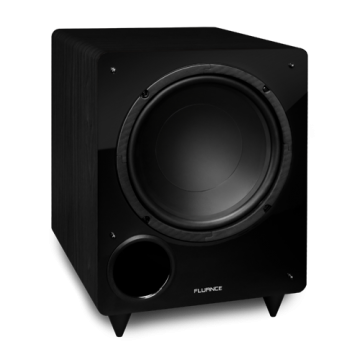 The Fluance DB12 Powered Subwoofer is ready to rock your body with a powerful bass performance empowering you to become truly immersed in any music or movie experience from a mesmerizing bass guitar solo to a ground shaking movie explosion. 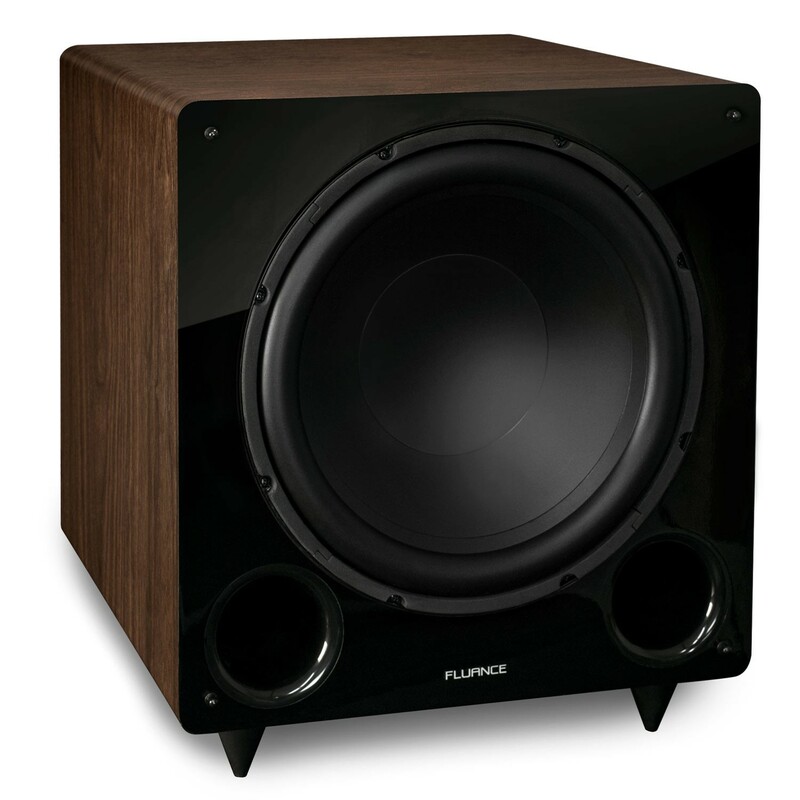 Enjoy extraordinary performance in your home theater adventures with the Fluance’s flagship subwoofer. While most recordings contain bass frequencies that traditional speakers cannot easily reproduce, the DB12 is designed specifically to reproduce those ultra-low bass frequencies - an integral part of any home theater. Equipped with a front firing driver the DB12 offers longer excursion and controlled linearity for a smoother, deeper bass performance. This ensures you are hearing the lowest frequencies on every track consistently without any unexpected roll off. The rigid cone design is able to provide deep bass while maintaining minimal distortion. This high performance, low distortion amplifier provides a continuous 240 watts of clean, dynamic power (400w peak) to deliver a heart pounding boom at the most intense music and movie climaxes. The DB12 has been ported and precisely tuned to the enclosure and designed to reproduce both low and ultra-low frequencies. The solid cabinet construction uses engineered MDF wood for a warm and distortion-free sound. Utilize two DB12’s for the ultimate 5.2 or 7.2 system that creates an even more immersive home theater experience. Fluance has successfully revolutionized home audio. Utilizing only superior components and expert audio engineering, the DB12 is a testament to the performance that can be achieved when a passion for music takes center stage. The perfect complement to any audiophile’s lifestyle, you’ll be enjoying live performances in your home for years to come. Room placement – With its compact footprint, the DB12 Subwoofer can easily be placed in a corner of the room for an unobtrusive low frequency experience. I use this in a 2.1 stereo system with a Denon DP300F turntable. Most of my collection is made up of bass-heavy soul, funk, ambient and hip hop. I searched for months for a sub less than $500 that could make my music sound awesome. But I also have a wife that is very fussy about appearances and doesn't like it when I load too much equipment in our living room. This met both of our needs. On top of the excellent sound about the beautiful styling, it's made by a Canadian company! Boom shocka locka!!! The bass gods have returned! I'll turn this sub loose on the higher end subs, bet, and collect my money! !